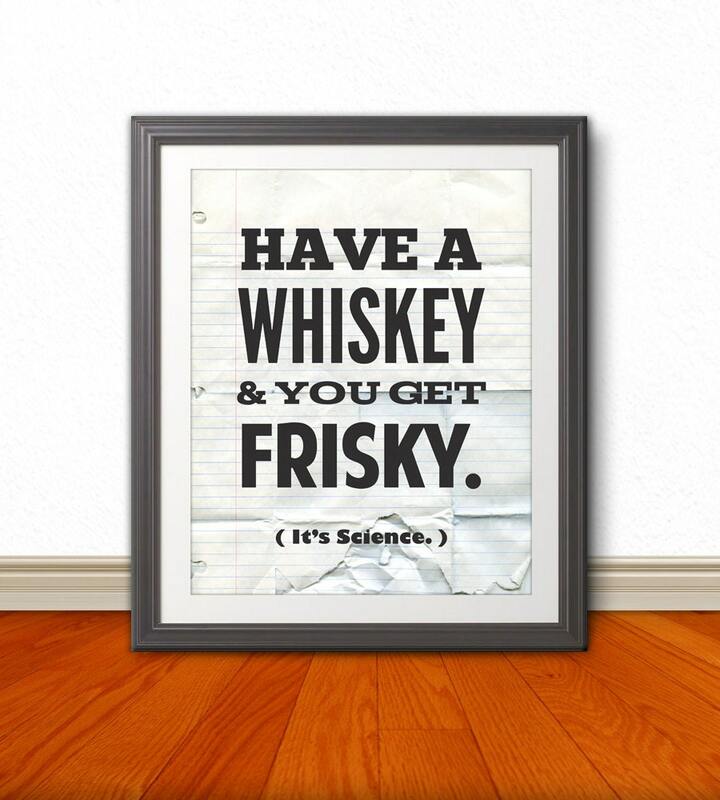 Have A Whiskey and You Get Frisky! 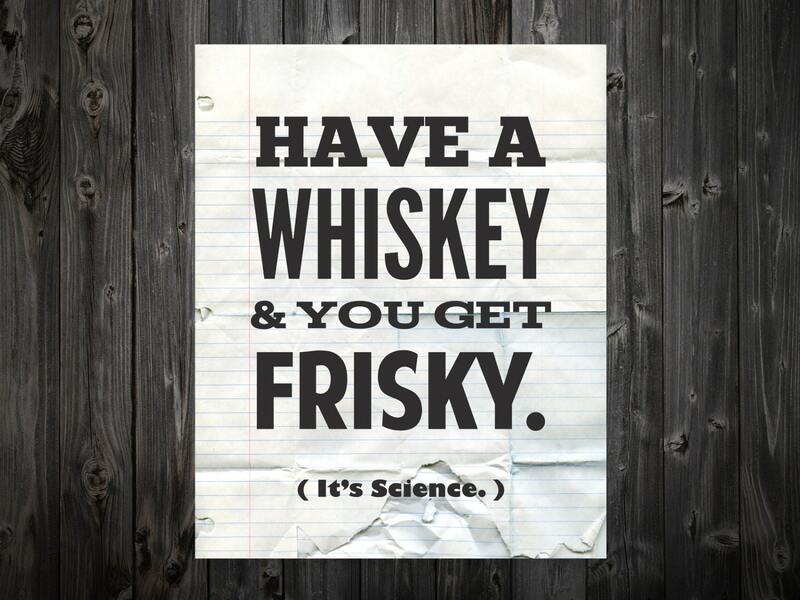 It's Science. 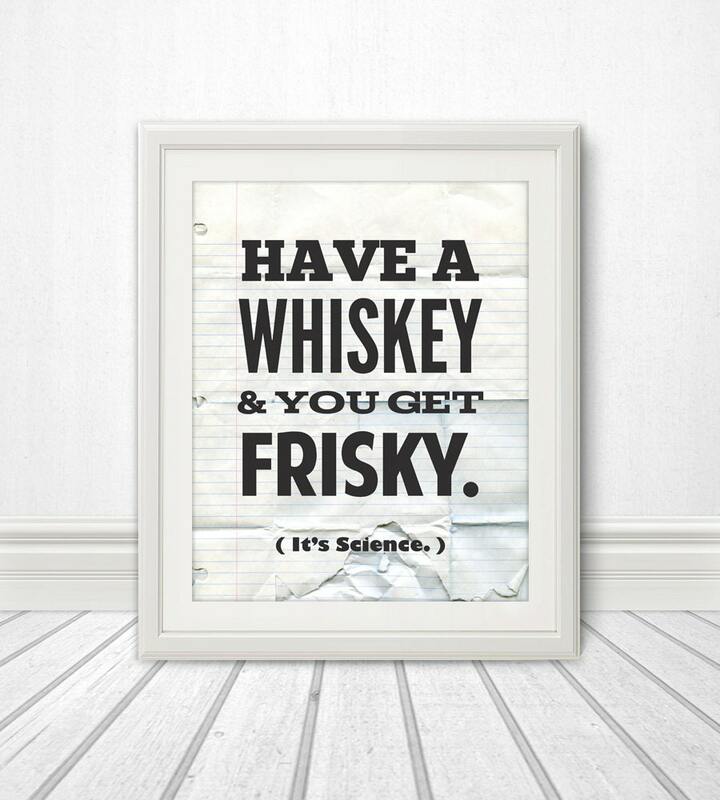 This whiskey print would look great in any kitchen. This print is professionally printed on a thick glossy card stock. The print is perfect for framing. The word "proof" is removed when printed.